PLEASE NOTE: This article is obsolete or related to a discontinued product. 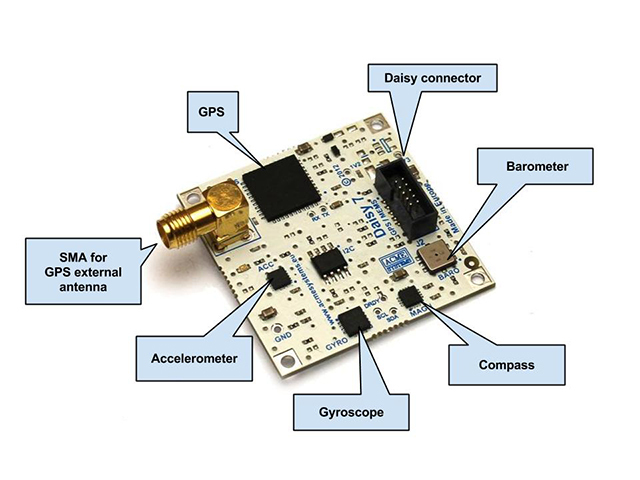 9 Degrees of Freedom module which integrated MEMS Accelerometer, Gyroscope, Compass, Barometer and GPS receiver in just 4x4cm. 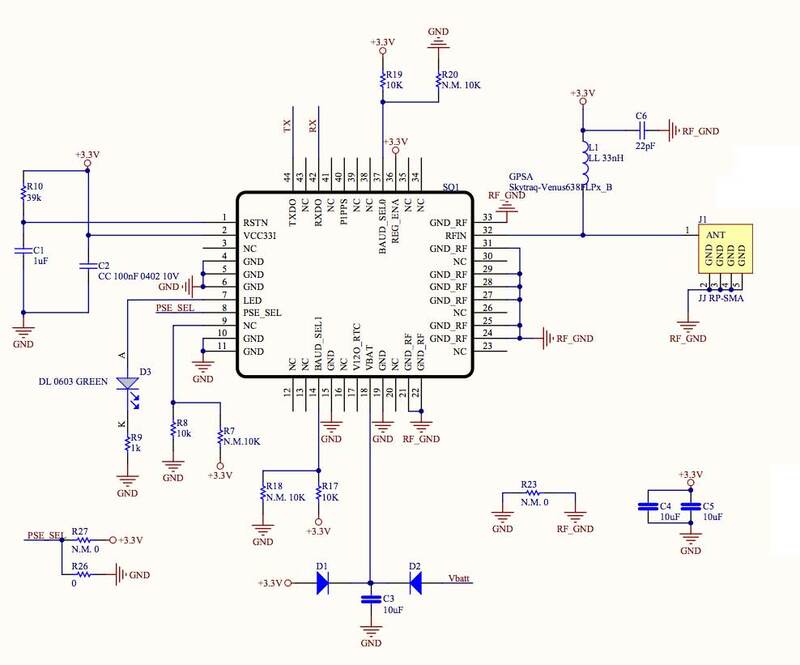 The I2C bus is wired to the Compass, Accelerometer, Gyroscope and Barometer chips. Following are some examples of code in Python to read the data from the chip mounted on the DAISY-7 using a FOX Board G20 or a Terra Board. They use Daisy classes defined inside the the Acme Systems ablib.py. This example reads the NMEA message send by the GPS chip on the /dev/ttyS4 serial port (FOX.D6 or TERRA.D10 daisy connectors) and shows them on the Linux command line. This example filters the NMEA messages GGA - Global Positioning Systems Fix Data and shows the Latitute and Longitude value on the system console provideing an URL to see on Google maps the current GPS position. This example reads the X,Y and Z axis linear accelleration via I2C bus. Run the example then move the DAISY-7 board so see linear speed variations. 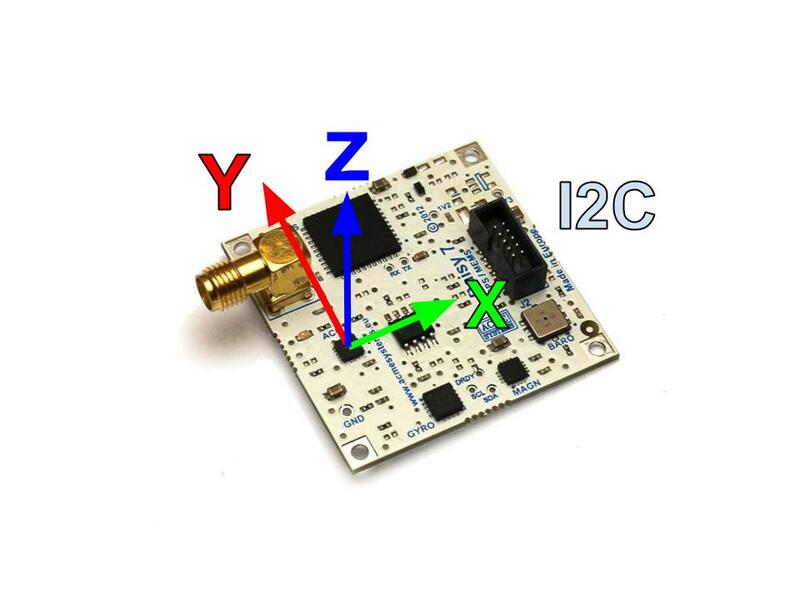 This example reads the X,Y and Z axis angular speed from the gyroscope chip via I2C bus. Run the example then move the DAISY-7 board so see angular speed variations. To read the Honeywell HMC5883L compass chip we have integrated in the ablib library part of the Think Bowl I2C Python Library. 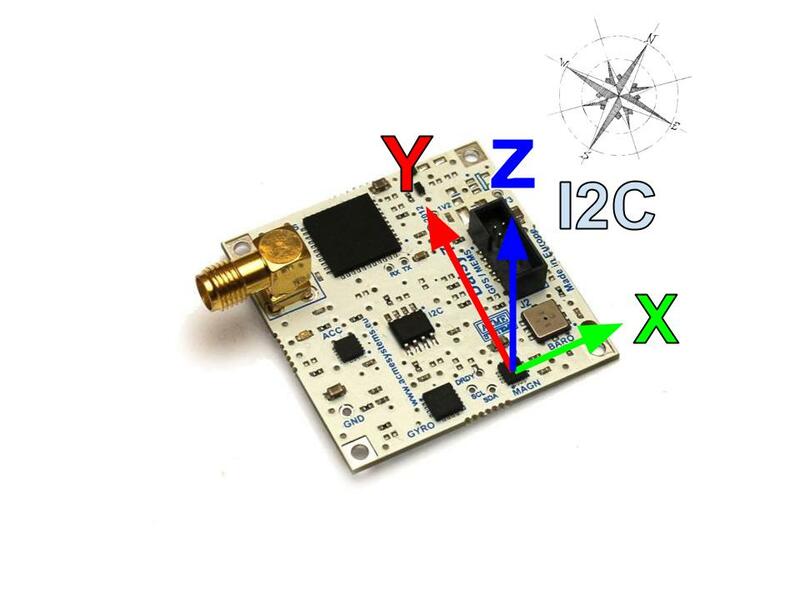 The serial speed of GPS chip is fixed by hardware using the pin BAUD_SEL0 and BAUD_SEL1 visible on the schematic of GPS section. These pin are set at 3V3 via R19 and R17 resistors. R20 and R18 are Not Mounted. 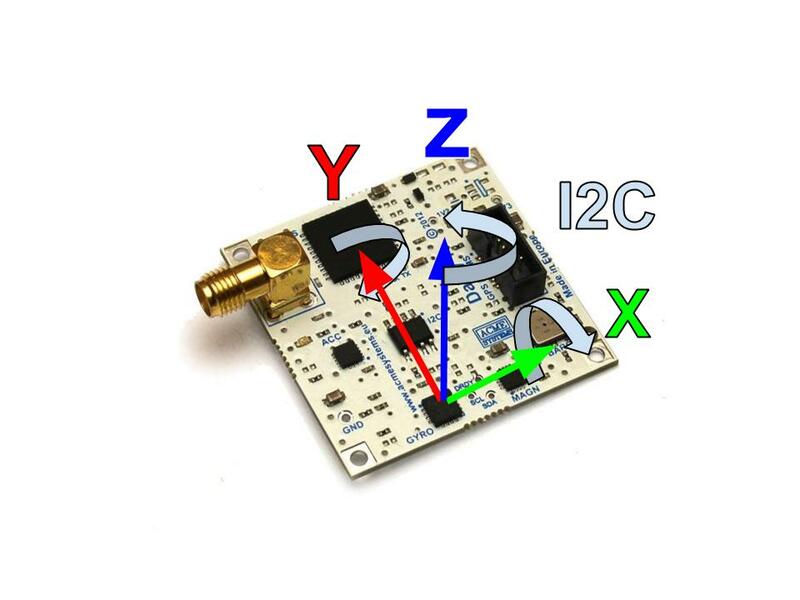 GPS active antenna with SMA male connector to use Daisy-7 add-on board. 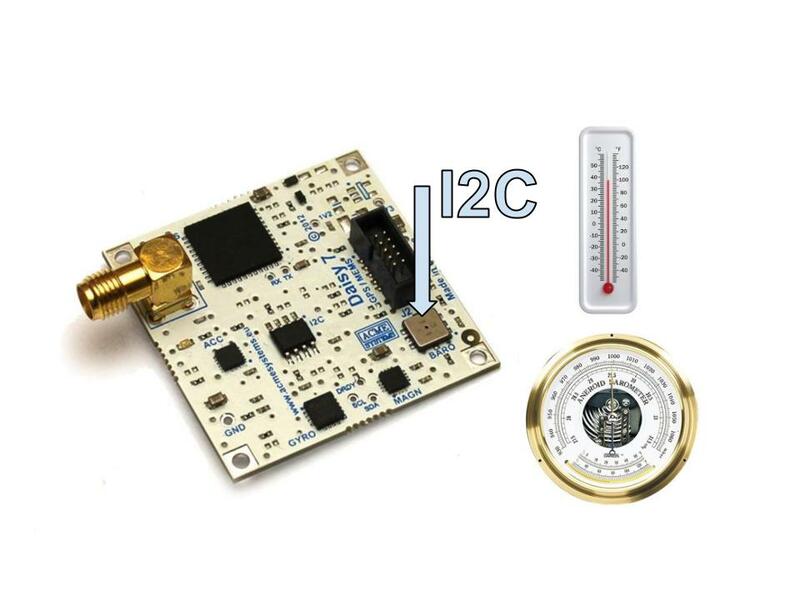 DAISY-12 is a 40x40 mm prototyping board with daisy IDC connector mounted and small soldering area to create your custom daisy add-on module.